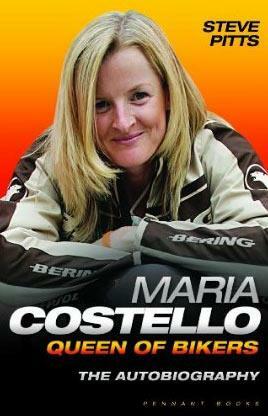 A biography of Britain’s favourite woman biker Maria Costello has just been launched. It tells the story of her astonishing racing career – from her Isle of Man achievements to her work as a Hollywood stunt double for the likes of Reece Witherspoon. Maria Costello: Queen of Bikers costs £18.99. Visit www.costelloracing.com to buy an exclusive signed copy.